Sleep belts, also known as snoring bumper belts or simply snoring belts, are positional therapy devices that are designed to reduce the symptoms of snoring and in some cases sleep apnea, as well as other sleep-disordered breathing. What Is Positional Therapy and How Effective Is It? Positional Therapy is a treatment option that has been in existence for some time now and is occasionally prescribed to those who experience a notable improvement in breathing while sleeping on their side, opposed to on their back or the supine position. The concept behind positional therapy is rather simple – maintain the body on its side and the symptoms improve. How does sleeping on one’s side improve snoring and sleep apnea? While sleeping in the supine position, the airway often collapses and becomes obstructed. This is caused by the force of gravity which allows the jaw to fall towards the airway while asleep. When the jaw falls backward, fat and tissue also fall backward and apply pressure on the airway, resulting in obstructed breathing. The sound of snoring is created when air passes through a partially obstructed airway and the tissues within the airway begin to vibrate and collide with each other. Sleep apnea occurs when the obstruction is so severe that breathing is completely stopped. By sleeping on one’s side, a relaxed jaw exerts far less pressure on the airway, resulting in a clearer airway and reduced or even eliminated symptoms. Exactly how effective is positional therapy? A number of studies have been conducted examining this treatment option and have actually found it to be quite effective. While results vary from one study to another, most agree that positional therapy is an impressive 70% – 80% effective. Considering that many snoring solutions do not offer scientific evidence at such a high rate of success, positional therapy seems to be an attractive solution. How Do I Remain On My Back While Asleep? While the idea of positional therapy sounds appealing, you may be wondering how one prevents rollover while asleep. If you are one who is able to fall asleep on their side without moving throughout the night, consider yourself lucky. Many of us uncontrollably toss and turn throughout the night. The only way to prevent rollover is to wear a device that either makes sleeping on one’s back very uncomfortable or physically prevents rollover. This is where sleep belts are helpful. Sleep belts come in several different shapes and sizes, although the design is essentially the same between each. An elastic strap wraps around the front of the chest towards the back. At the back, there are typically one or several “bumpers” which simple cushions that are raised a few inches. When you attempt to roll over while asleep, the bumpers prevent this from happening and you remain on your side. Imagine having a basketball attached to your back. Rolling over will be nearly impossible. Will A Snore Sleep Belt Work For Me? If you have tried other anti-snoring products and have been disappointed, you may be wondering if a snore sleep belt will work for you. Based on the studies that have been conducted, it’s clear that snore belts will not work for everyone. Being about 70% effective, the likelihood of having success is around 7 out of 10. There is, however, one very easy way to tell if asleep belt may work for you. Simply ask your partner if sleeping on your side makes a difference in snoring. If they have never noticed, have them wake you and roll you over on your side when you begin to snore. If your snoring stops, a sleep belt may be all that you need to remedy your snoring. If side sleeping has no effect, a sleep belt and positional therapy will of course not be helpful. What Brands Are Available and How Much Are They? There are several brands of sleep belts available, each are designed slightly different from one another. Here’s a short list of available products along with their price and features. This product comes in three different sizes – Medium, large, and Extra Large and fits chest sizes between 32″ – 54″. It’s made from a breathable mesh material and contains anti-microbial fabric which is machine washable. 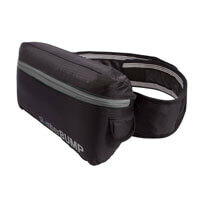 The Slumberbump contains one large removable air bladder which can be removed and deflated for travel. 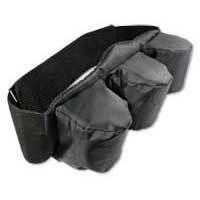 The Rem-a-tee bumper belt comes in four different sizes – Pediatric, medium, large and extra large. It fits chest sizes between 21″ – 60″. Like the Slumberbump, this product is also machine washable and contains a bumper at the rear. The primary difference between the two is the number and size of the bumpers. This product has three smaller bumpers, opposed to one large bumper. The Zzoma is also a sleep belt, however, this product is marketed towards those with obstructive sleep apnea. In fact, their website states that a prescription is required before making a purchase. This is likely because it’s an FDA Cleared class II medical device. Their website claims that the Zzoma was designed by board-certified physicians for the treatment of OSA. A study was published in the Journal of Clinical Sleep Medicine comparing positional therapy with the Zzoma to CPAP, which indicated that it can be an effective solution. Zzoma weighs less than a pound, contains an inflatable air bladder, and is machine washable. NightShift, while not a sleep belt, is an innovative positional therapy device. It’s a small electronic device that fits around one’s neck. It can accommodate those with a neck size between 12″-22″. When the embedded sensor detects that you are sleeping in the supine position, it vibrates with increasing intensity until you roll over onto your side. Like the Zzoma, NightShift is a medical device that requires a prescription to purchase. Perhaps you are on a budget or are simply not interested in dropping $70+ on a snore belt. Are there any alternatives to buying a snore belt? Yes, actually there’s a homemade remedy that you can try. Simply attach a row of tennis balls to the back of a tee shirt using rubber bands. The tennis balls should be located at the back, just below the shoulders. Simply slip the t-shirt on before going to bed and that’s all. The downside to using the tennis bell method is that the balls may not be large enough to prevent rollover. Can I use a Snore Belt If I Have Sleep Apnea? A snore belt can be used by those with sleep apnea and can even assist with the use of a CPAP. However, you should never self-treat sleep apnea. Speak with your physician about the possibility of using positional therapy and a snore belt. When it comes to snoring, the truth is that most anti-snoring solutions are simply gimmicks or only work on a small percentage of people. The two exceptions are snore belts and snoring mouthguards. While you are now familiar with snore belts, snoring mouthpieces may not be familiar to you. 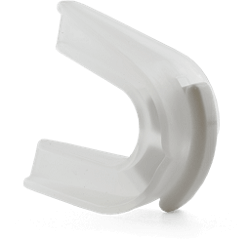 Essentially a snoring mouthguard is a plastic night guard that fits inside of the mouth and prevents the jaw from falling backward and obstructing the airway. Mouthguards are also extremely effective and come in many different designs. The primary advantage that the mouthpiece has over the snore belt is the fact that it allows you to sleep in any position. Also, mouthguards are more compact and easy to travel with. If you are interested in learning more about such products, you can do so here. Does an anti-snoring chinstrap or belt really help to stop snoring? Previous post: Is There A Permanent Cure For Snoring?